If you want a laptop that is thin, light, has a premium build, quad-core processor and dedicated graphics then a MacBook Pro is what comes to mind, but even when you spend $1800, you do not get the dedicated graphics. That is where the new 2019 Razer Blade Stealth comes in and checks all those boxes. The Blade Stealth has been on the market for some time now and each year Razer introduces some tweaks to make it better. While it was always a thin and light laptop, it was never considered a gaming PC without the Razer core external GPU enclosure that costs extra. While the base model does still come with an integrated graphics, you can get the mid-range version that offers a quad-core CPU and the Nvidia GeForce MX150 graphics. While the performance might not be on par with the recently launched 15-inch model, it is still much better than the Intel’s integrated graphics. One thing to note here is that this is not the standard MX150 GPU, but a powerful version that has a 25W TDP and comes with 4GB of GDDR5 memory. This provides some serious on-the-go gaming and video editing performance. Fortnite can be played at 1080p on the medium preset with 45-60 FPS on average. Call of Duty Black Ops 4 is also playable if you lower the graphics to the low preset. The game runs at 45-50 FPS and you could get stable 60 FPS if you lowered the resolution even further. 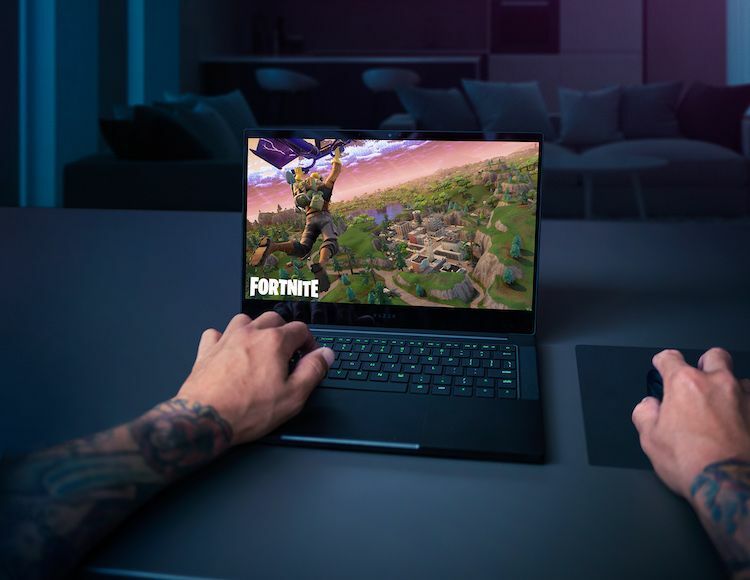 The new 2019 Razer Blade Stealth is powered by the new Intel Whiskey Lake i7-8565U processor and it can be configured with up to 16GB of 2133 MHz RAM and 512GB of PCIe M.2 SSD. The new model is better than ever with smaller display bezels, which means that the entire laptop is a little less wide. The Matte Black aluminum finish on the 2019 Stealth is similar to the other Razer laptops, and it is the only color option available right now. One of the reasons why the laptop build quality feels so good is that it is built from a single block of Aluminum. Removing a single screw gets you to the internals of the laptop. There is not much that you can upgrade but you can change the SSD if you want. Inside you see a new thermal design that comes with dual fans to cool the new 2019 Razer Blade Stealth that now comes with a dedicated GPU. The 52Wh battery might not be the biggest in the world but Razer does claim that it will last up to 13 hours which is very impressive indeed. This will depend on the type of work that you are doing on the device, but it should last you 8 hours on average. 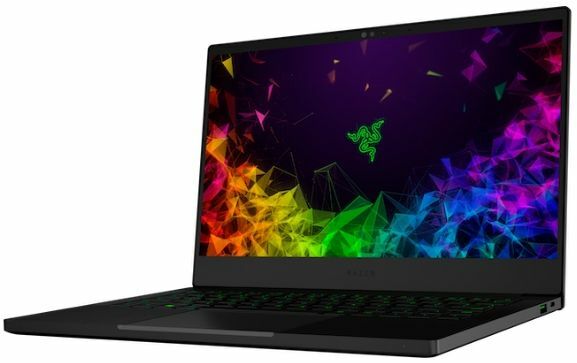 The price of the new 2019 Razer Blade Stealth is pretty high and the mid-range version costs you $1600. This is still cheaper when compared to the MacBook and better than the Dell’s XPS 13 which doesn’t come with dedicated GPU at all. If you are in the market for a new thin and light laptop that does not compromise on power then the new 2019 Razer Blade Stealth is a great option to consider. Especially if you are looking for a Windows device.